Yes, we are back – and we have a very special offer for you! To celebrate the extensive refurbishment of our studio, you can have a family portrait sitting for up to 5 people and an 8″ print of one of the photographs taken at the sitting for only £19.95! That’s a massive saving of over £79.00 off our normal price! Plus at no extra charge, we can enter one of the photographs into the prestigious Fuji / MPA Portrait Awards, where you could win £1,000.00! To qualify for this great offer, your sitting must take place during July. Spaces are strictly limited and are subject to availability. To book your sitting and for offer details, contact us now by calling 01279 843050. Payment of the above sitting fee will secure your sitting date and time. Entry into the Fuji /MPA Portrait Awards is subject to terms and conditions – details available upon request. Would you like to see more of our work? Visit our website here. 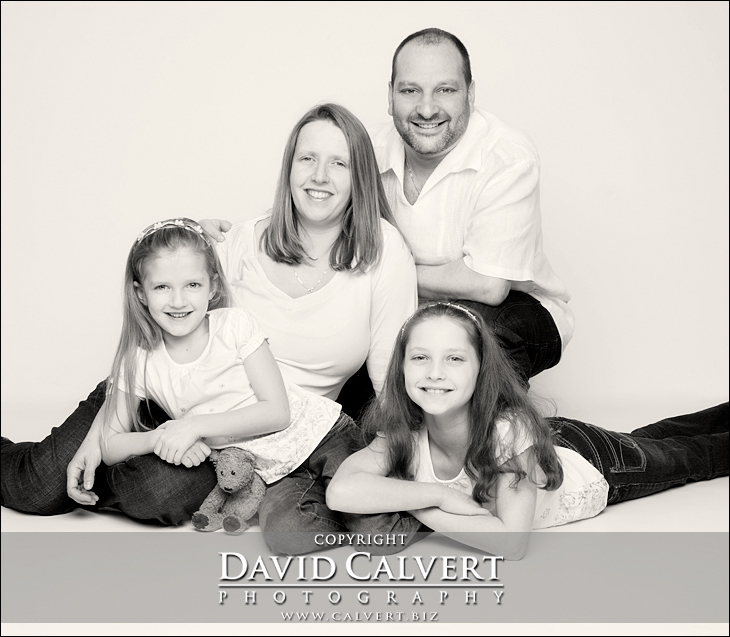 All photographs / Text: Copyright: © David Calvert 2011. Copying is strictly forbidden by law.